Punters don’t have to wait for long or have to push their counterparts just to take a pint of beer or alcohol. James is going to play safe, fast and much more fairly. With its tablet computer head and one-armed metal body, it is waiting behind the bar to take your orders. Yes, you guessed it right, James is the new Barman, created by the Joint Action in Multimodal Embodied Systems programme. Just by scanning the body language of its customers, James ‘decides’ who to serve first. On the other hand those who need not feel the urge of thirst stay away from the bar. Psychologist Sebastian Loth, from Bielefeld University, concluded that customers identify themselves as ordering and non-ordering people through their behavior. Similarly the bot’s response is based on the recognition that it acquires from human social behavior. As robots become more integrated into our daily lives, they must increasingly deal with situations in which socially appropriate interaction is vital. 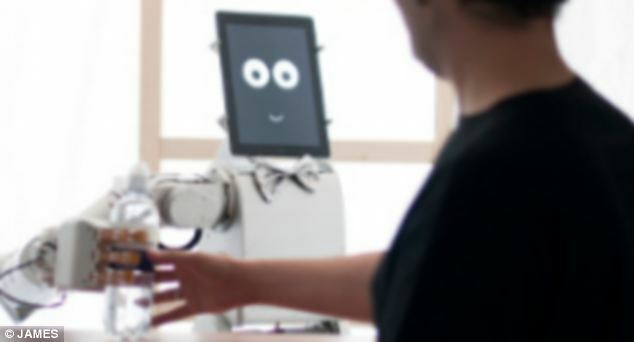 In such settings, it is not enough for a robot simply to plan its actions to perform particular tasks; instead, the robot must also be able to satisfy social goals and obligations that arise through interactions with people in real-world settings. As a result, a robot requires not only the necessary physical skills to perform tasks in the world, but also the appropriate social skills to understand and respond to the intentions and needs of the people it interacts with. Of course, the machine still needs to be worked upon reading the signals accurately else it might misfire and annoy the customers. The aim of the project is not to create job redundancy as many might conclude rather it’s a way of taking robotics to the next level where synergies of both human and machine work together towards a technologically progressive environment.